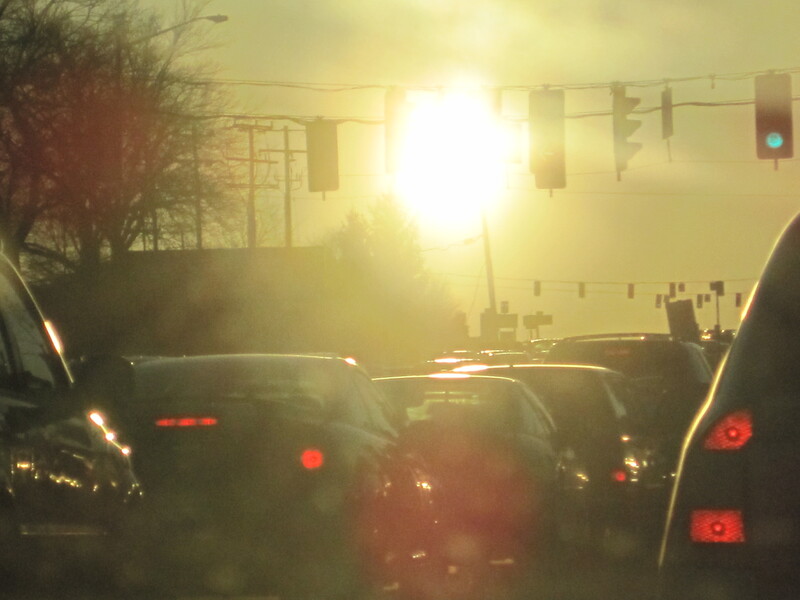 A new traffic law recently passed in Ohio will allow drivers to decide when they feel that a light has been red for so long that it’s likely broken — and to go through the intersection when they think it’s safe. The move is intended to reduce congestion and driver frustration with aging infrastructure, but critics worry that by leaning so heavily on the judgment of individual drivers, gains in efficiency could come at the price of increased fatalities by year’s end. The new legislation arrives as autonomous vehicles and automated traffic systems teeter on the verge of practicality, promising efficiency and an end — or partial end — to human error. The promise of a safe, fully autonomous traffic system has now been planted firmly in the minds of lawmakers around the country; changes like this one show that they’re increasingly willing to consider debugging current systems in the pursuit of wait-free transport, the potential endgame of driverless car engineering. But human drivers may not have the skill or expertise to keep this new approach to traffic control from becoming a hazard. The motivation to change the law in spite of these objections is simple enough: Even without widely legal self-driving cars, reliance on vehicle-level rules changes could benefit Ohio in the short term. Malfunctions in the system may no longer cause a drop in overall efficiency, and smaller vehicles could navigate the city much more quickly. More importantly, a simple change in traffic law costs virtually nothing to implement. By contrast, Pittsburgh’s SURTRAC system, which uses advanced algorithms to adjust red light frequencies in real-time, costs a whopping $20,000 per intersection. That system really only helps a city when it is implemented broadly, so the cost of installation can be astronomical for the large cities that need them most. To get a similar effect in a system dominated by autonomous vehicles, cities could simply update the rules for vehicles; that’s the Ohio approach. The catch with the Ohio approach is that it assumes humans are trustworthy and attentive drivers. When disputes over accidents inevitably occur, the new law leaves it to the driver crossing the red light to prove that their decision was the right one — a system that works far more easily for autonomous vehicles, which can record and reproduce an exact, real-time record of a crash. On the plus side, the lower courts are going to produce a great data set for car programmers. Legislators are clearly looking for ways to realize the potential of autonomous vehicles without having to wait for the vehicles themselves to become a reality. If it is applied widely, across many different traffic systems in many populated areas, the real human cost of this shift in thinking may remind everyone why autonomy was such a desirable goal in the first place.